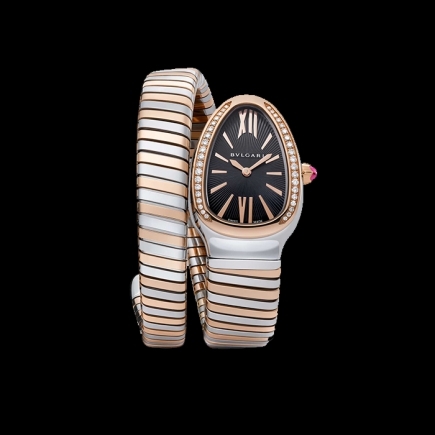 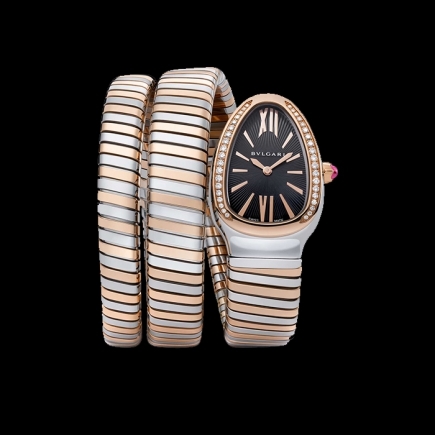 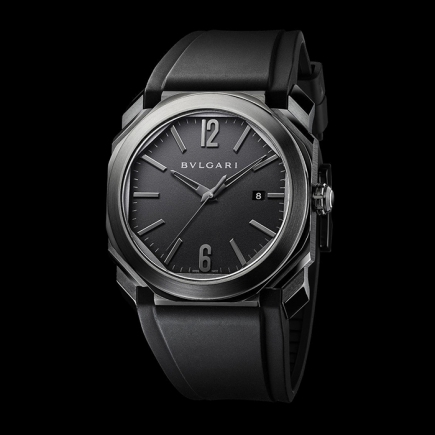 Bulgari | 165'000 € Tax inc.
Record du monde pour la répétition minutes la plus mince, quoi d'autre ...? 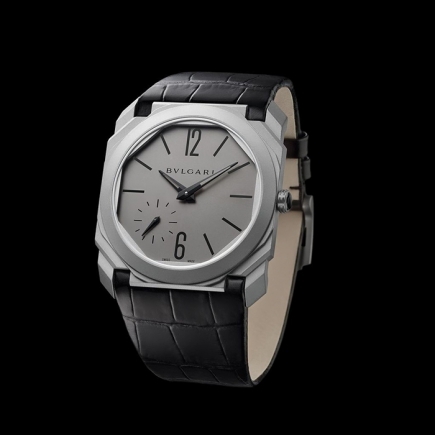 In line with Bvlgari's Italian genius, the Octo watch defies convention and displays time with perfect geometry thanks to a bold octagon. 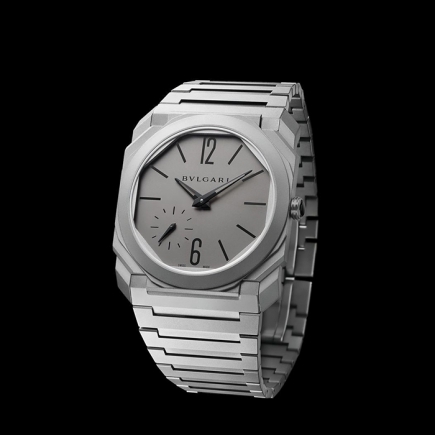 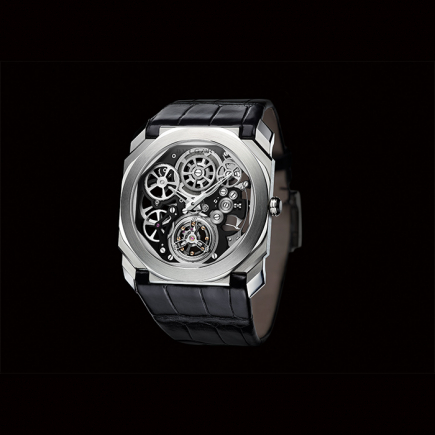 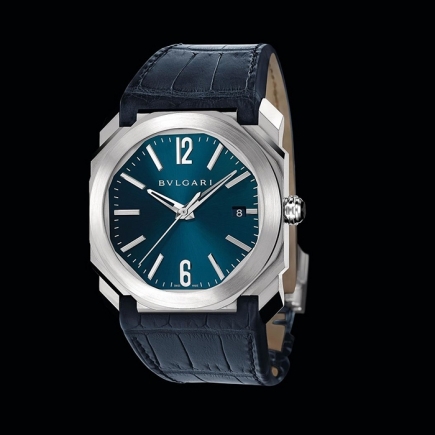 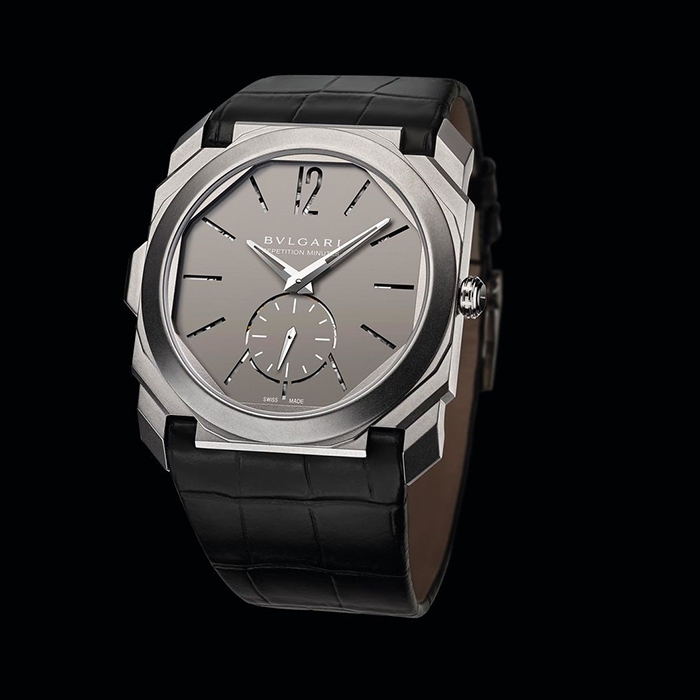 The Octo watch embodies the Bvlgari man, his strong personality and his taste for architecture. 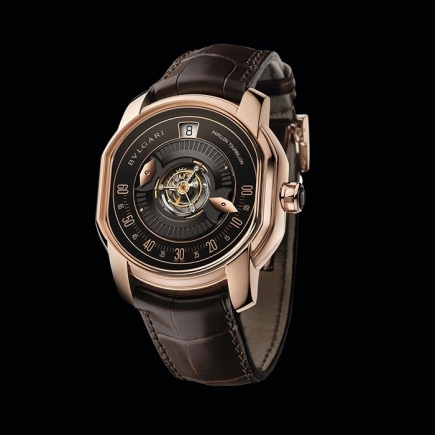 Among its various variations, the most exceptional, awarded several awards including the Grand Prix of Geneva Watchmaking 2017 and the IF Gold Design Award, is the Octo Finissimo. 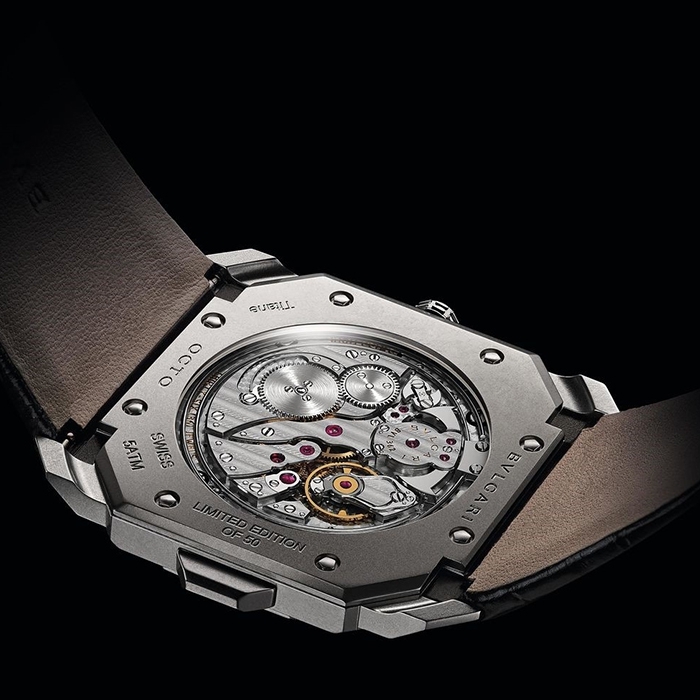 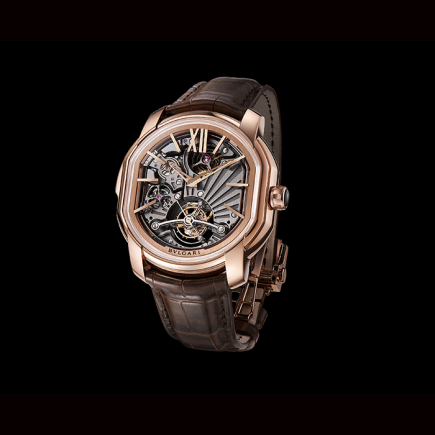 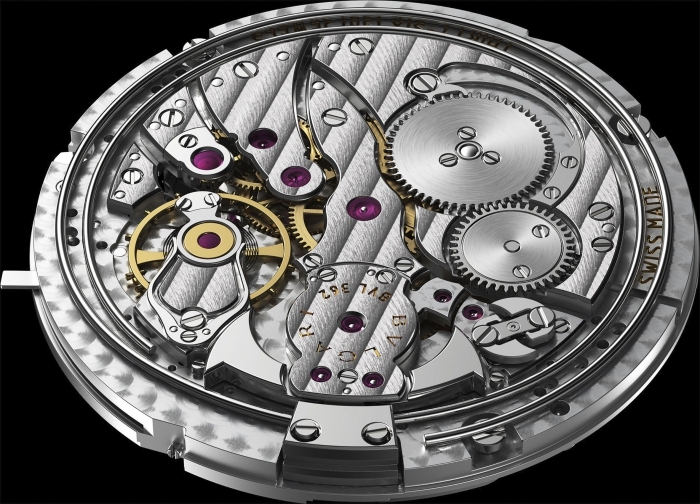 This watch, concealing the finest automatic movement in the world (2.23mm thick) combines the quintessence of Swiss watchmaking expertise with the elegance of Italian design. 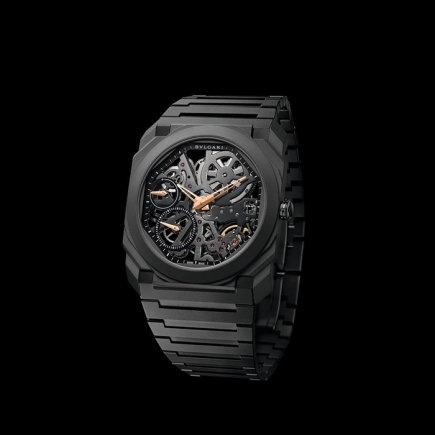 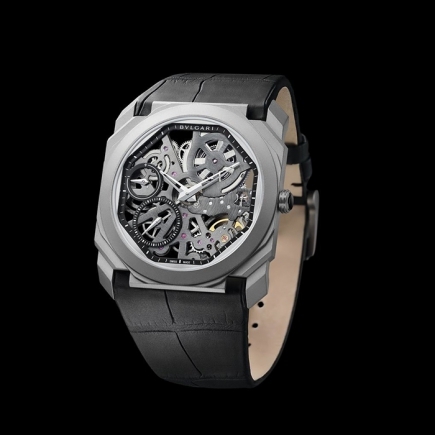 Today Octo offers four world finesse records in different categories ranging from simple automatic watches to Grandes Complications watches (Tourbillon / Minute Repeater). 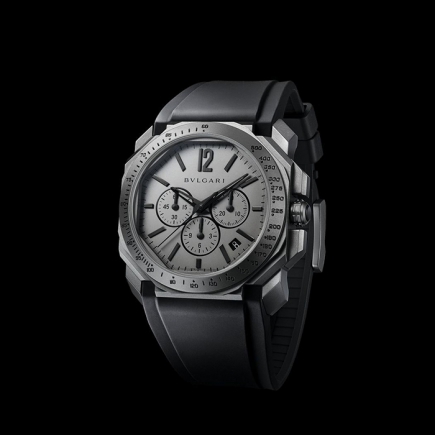 - Water-resistant up to 30 meters. 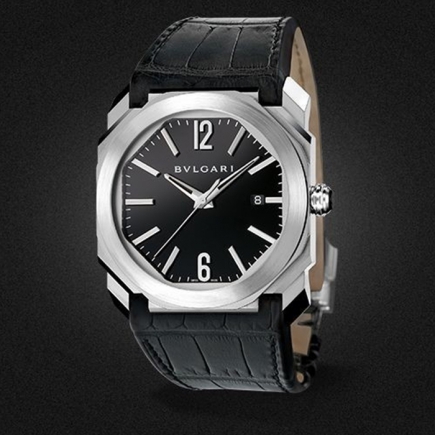 - Black integrated alligator bracelet with titanium ardillon buckle.